The average price for this game in the past 6 months is $6.90. The game first became 50% off on Nov 25, 2016 at Green Man Gaming. Lowest historic price was $5.77 on Jan 31, 2018 at Green Man Gaming. New historic low price on State of Decay Year One Survival Edition. Generally around $15 at a typical sale, the game is now $10 at Steam's Summer Sale. Deal ends soon on Wednesday next week. A $30 purchase on Steam right now, today the State of Decay Year One Survival Edition is under half price after coupon at the WinGameStore. Cheapest it's been since March of this year. The average price for this game in the past 6 months is $17.66. The game first became 50% off on Mar 11, 2018 at Best Buy. 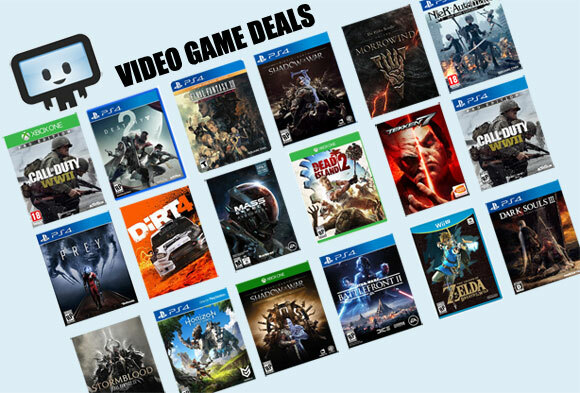 Lowest historic price was $12.99 on Dec 19, 2018 at GameFly. The average price for this game since released is $11.08. The game first became 50% off on Nov 18, 2015 at GameFly. Lowest historic price was $7.50 on Nov 21, 2017 at Microsoft. New low on the definitive version of State of Decay with the Year One Survival Edition for $10 with free shipping at Microsoft Store. Includes all DLC and now running in glorious 1080p. The average price for this game since released is $20.42. The game first became 50% off on Oct 14, 2015 at GameFly. Lowest historic price was $7.50 on Jul 19, 2018 at Microsoft. Xbox One owners can now pre-order the definitive version of State of Decay with the Year One Survival Edition for $26 plus $1 shipping at NewEgg. Includes all DLC and now running in glorious 1080p. The average price for this game since released is $4.99. The game first became 50% off on Jun 10, 2014 at Green Man Gaming. Lowest historic price was $1.48 on Jun 10, 2014 at Green Man Gaming. The average price for this game since released is $12.37. The game first became 50% off on Dec 24, 2013 at Steam Store. Lowest historic price was $4 on Dec 22, 2014 at Green Man Gaming. State of Decay only $4? Sold. GMG has the lowest price ever today in their Winter/Holiday sale. Normally $20. The November 2013 released State of Decay drops to a mere $4.25 after coupon today at Green Man Gaming. That' the lowest price ever by $4 for the open world apocalyptic zombie game. A solid 79% cheaper than the $20 you'll pay elsewhere. Can't go wrong with State of Decay if apocalyptic zombie game is your game of choice. Action game. Open world. Survival. All the right keywords and hype. Decent single player game for only $8. The State of Decay Pack includes both the State of Decay base game and its Breakdown DLC. The average price for this game since released is $18.35. The game first became 50% off on Jul 18, 2014 at Green Man Gaming. Lowest historic price was $6.91 on Jul 18, 2014 at Green Man Gaming. State of Decay and its DLC Breakdown are cheaper today bundled together than just buying the State of Decay game by itself. GMG has a 68% instant savings for the bundle and a 20% off coupon to stack for additional savings. Their discounts make this State of Decay Pack only $6.91 while the State of Decay base game by itself is discounted to $8.